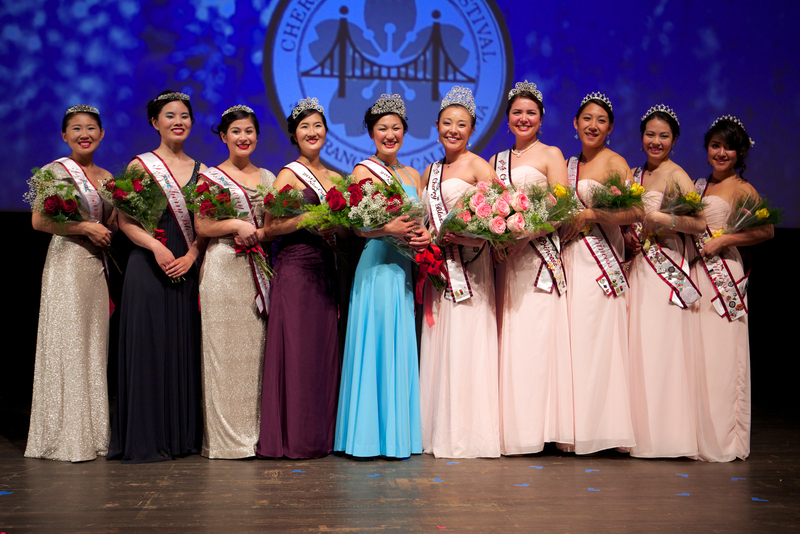 The 2014 and 2013 courts at this year’s Northern California Cherry Blossom Queen Program. SAN FRANCISCO — The 2015 Northern California Cherry Blossom Queen Program Committee seeks enthusiastic, community-minded, young Nikkei women to participate in the 2015 Northern California Cherry Blossom Queen Program. Held in San Francisco’s historic Japantown, the 48th annual Northern California Cherry Blossom Festival dates are the weekends April 11-12 and 18-19. The Queen Program will be take place at the Sundance Kabuki Cinemas on Saturday, April 11, at which time the 2015 queen and court will be selected. • Uphold the highest values and morals as role models for today’s youth while striving to preserve the traditions and values of past Japanese American generations. • A U.S. citizen who has lived in the Northern California area for at least three years; or a foreign national with permanent status of at least one year who has lived in the Northern California area for at least three years; or a foreign national residing in the Northern California area for at least three years. The term of service is one calendar year. For further information or an application, go to www.nccbfqueenprogram.org or www.facebook.com/NCCBFQP. Completed applications must be submitted no later than Saturday, Nov. 15. Submit via Facebook or mail to: Northern California Cherry Blossom Queen Program Committee, c/o Union Bank, 1675 Post St., San Francisco, CA 94115, Attn: Glenda Okamura. Questions can be directed to Sarah Fedaie at (415) 517-4338.